As part of your Textiles Scotland membership we give you access to our list of Associates - all experts in their field. Many of them offer free or discounted advice to members of Textiles Scotland. Scroll to find the help available exclusively to members. If you are interested in becoming an Associate at Textiles Scotland please apply here. Multiple award-winning UK corporate lawyer and intellectual property litigator Philip Hannay is the Managing Director of Cloch Solicitors. Textiles Scotland are lucky enough to have Philip on hand to give free legal advice to members. The Harris Tweed Authority is the legal guardian of Harris Tweed and the Orb trademark with powers granted by the Harris Tweed Act of Parliament 1993. The Authority oversees the production and inspection of the cloth from start to finish and only when satisfied that the article is genuinely deserving of the historic Orb will they brand the cloth with the mark. Emergents is a community interest company that aims to support the development of creative careers, enterprise and the economy in the Highlands and Islands of Scotland and beyond. They achieve this by nurturing creative talent and creative businesses through general and specific support including mentoring, training, advice and networking. MacRoberts LLP is one of Scotland's leading independent commercial law firms, with solicitors in Glasgow, Edinburgh and Dundee. They are keen supporters of the Scottish textile industry and are happy to deliver high-quality, innovative and practical solutions for textiles clients. 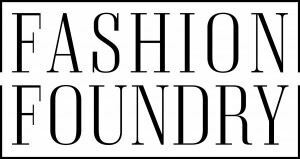 Fashion Foundry support fashion and accessories designers based in Scotland through a programme of practical workshops, advice, bespoke mentoring and offers access to sampling and sewing facilities. Maria Ure is the Director of full service brand consultancy agency Luminate PR, providing bespoke advice to small lifestyle businesses across the Scotland. 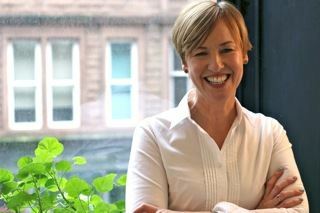 Maria is offering Textiles Scotland members a free one-hour branding consultation. 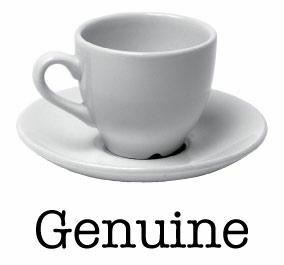 Genuine PR is a creative marketing agency specialising in delivering a fresh and enthusiastic approach to PR, creative services, styling and events for clients. They have over 10 years experience working with UK and international clients in campaigns and brand building. Fiona Chautard runs a Design and Marketing Consultancy with a specialism in fashion, textiles and retail supporting creative businesses and individuals with: consumer trend and marketing information, product and design development, range building for retail, costing and pricing advice, manufacturing advice, one-to-one business coaching and mentoring, and social media strategy & support. Susan O’Hare and David Attwood run a boutique consultancy specialising in growing sales and profit by strategically working with brands reviewing their routes to market, product ranges, manufacturing and supply chain. Working exclusively in the Textile Industry they have experience operating at Director and senior levels in retail, wholesale, licensing and e-commerce. 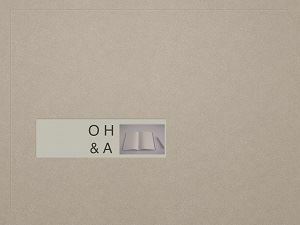 O'Hare & Attwood offer a 10% discount to Textiles Scotland members.